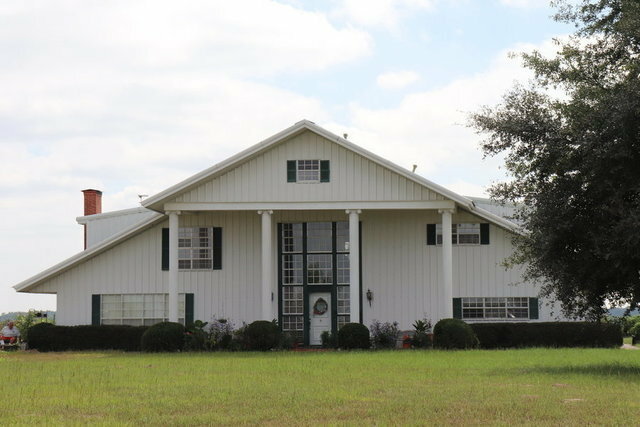 This 4 bedroom barn-dominium has so much to offer!! 222 and more acreage available for acres completely fenced in with cross fences in place, several metal buildings for equipment storage or hay storage, all equipment and cattle (at the time of offer) is included in the sale of this property. There are 2 brick rent houses, 2 rental cabins, a metal building with two apartments, about 3 tractors, a sprayer, goose neck trailer, flat bed trailer, small cattle trailer, all the tractor attachments, several ponds, a creek, about 3,750 square feet of enclosed porch, and so much more! Call for your private showing!